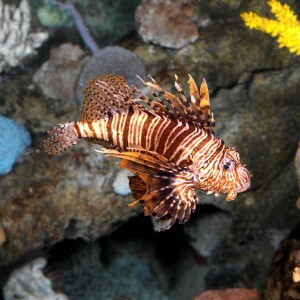 The lionfish has some of its fins divided into radii, with a feather-like appearance, similar to the Chinese dragons. Its body has a colouring with brown and white vertical bands. 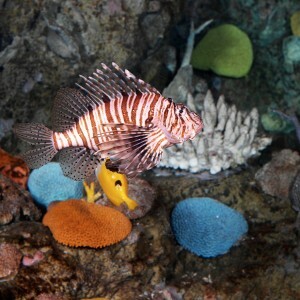 Some of its fins have needles with poisonous glands. 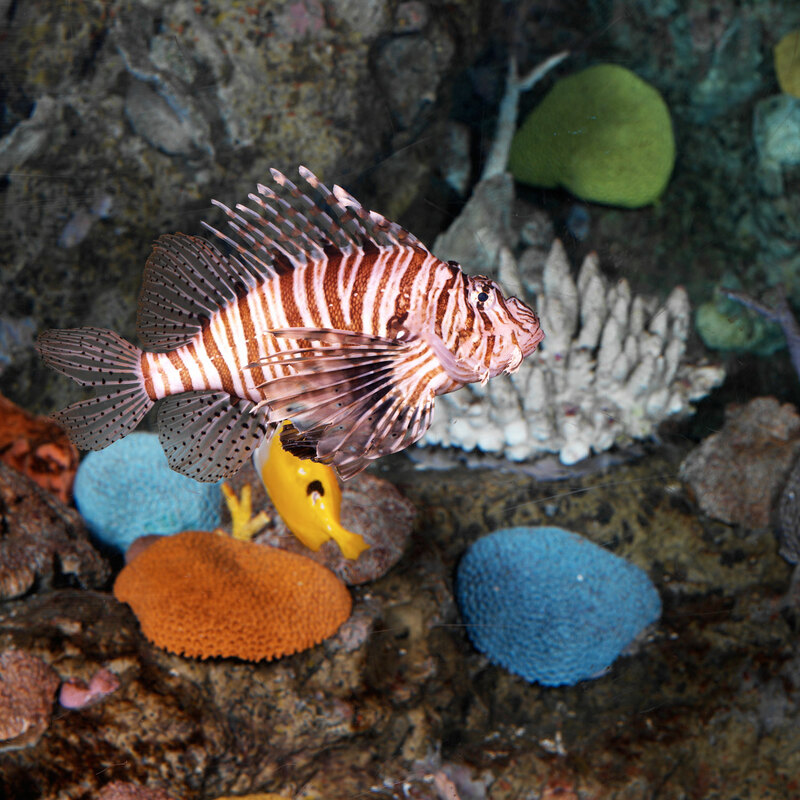 These fins and their magnificent striped colouring warn that they are not to be touched. Its maximum size is 38 cm. They mainly swim calmly, gently waving their fins, ignoring predators as they know that their bright colouring is a warning of danger. However, if a lionfish detects a small fish or crustacean that seems a possible prey, it can launch to attack it like lightning. Lionfish are carnivores that eat fish and crustacea, which go up to their prey and swallow it at a lightening speed. They use the pectoral fins to trap their prey and sometimes even different individuals at a time. They are oviparous animals in spawning, and the pair goes up to higher waters to leave a gelatinous sphere of eggs. It normally lives on lagoon reefs close to the coast, up to depths of 50 m.
It is found in the Indian-Pacific. These fish use their large pectoral fins to trap their prey.